Map and stats here and here. Is it possible that the country could keep getting more and more beautiful? As Ted mentioned, we stayed in a motel last night and I, always needing to get my money’s worth, required that we sleep in and take our time this morning. This meant we rolled out of the motel at 9:00a on the dot. That extra hour makes a difference, both in terms of how rested I feel and how hot it is. Win lose. 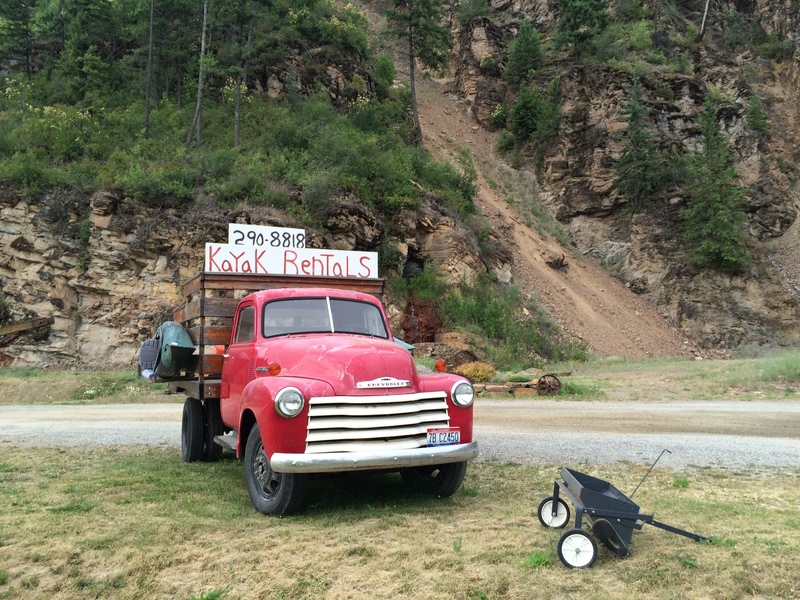 I did not expect Idaho to be such a spectacular place, but it was an impressive day. 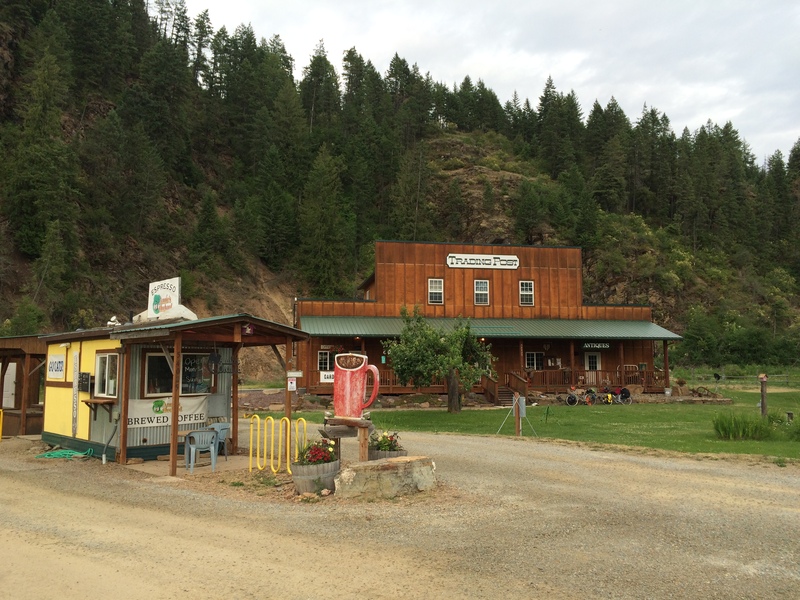 We pulled out of the cute town of Newport, WA and immediately entered Idaho. We started the day with some steady climbing, and proceeded onto rolling country roads with minimal traffic and terrific views. It wasn’t all smiles, though; we were both pretty grumpy this morning. Perhaps we were mentally unprepared for the fact that hills that aren’t passes are still hills and still hard, but this morning was hard. I found myself briefly wishing for passes because at least I wouldn’t have to change my gears so much, then I remembered how unhappy I was on the passes and took it back. One thing we haven’t talked about much is the weather. Because the weather’s been great and you don’t really talk about the weather until it’s bad. 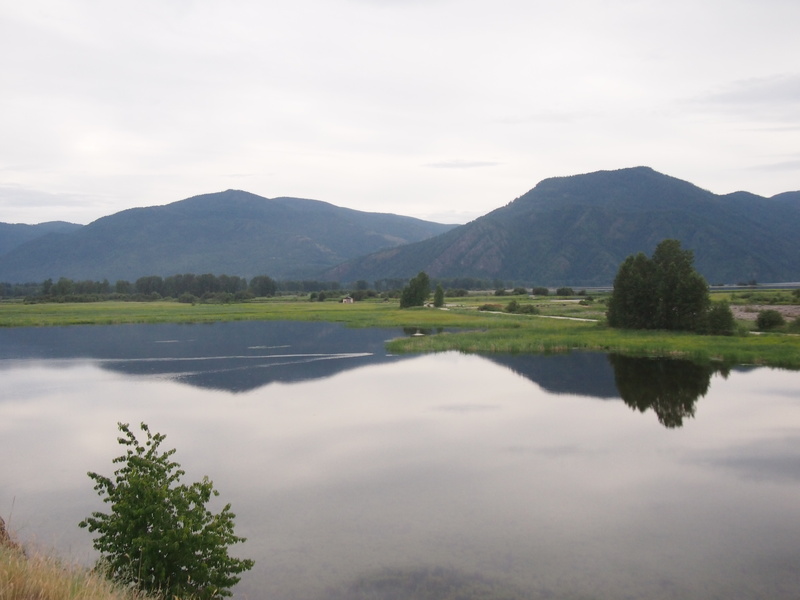 Sure, it’s been a little too hot at times, but (knock on wood) we haven’t gotten any rain yet. I mention this because it sort of looked like it might rain much of today and we were incredibly grateful for every second it wasn’t raining. We know it will rain at some point, but we’re hoping it happens on a day that we’re on a road without much traffic and not climbing or descending a pass. 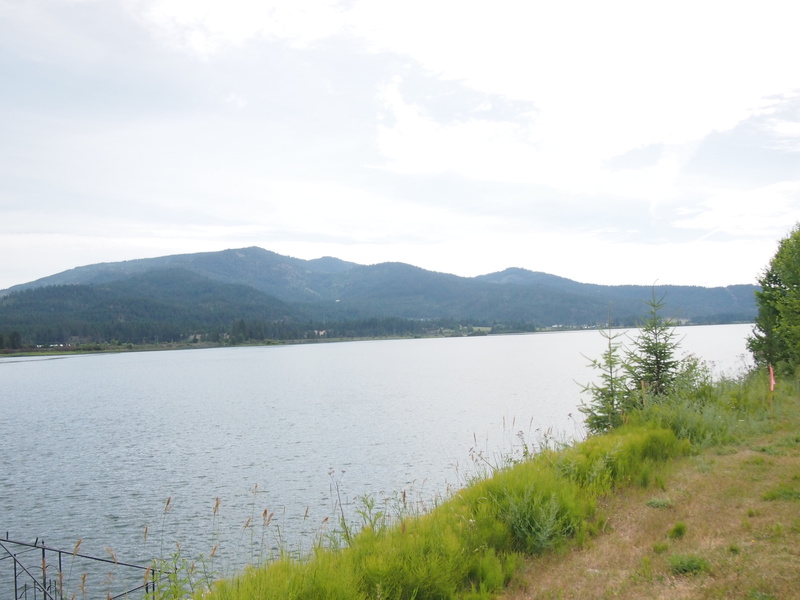 We arrived in Sandpoint, ID around lunch and even though I had my heart set on Jack-in-the-Box (because I saw a Jack-in-the-Box hamburger box on the side of the road so I figured there must be one in Sandpoint, the only large town around, and I need some sort of food item to fixate on to get me through to lunch), when we saw how adorable Sandpoint was, it seemed sinful to visit a chain. So with our first (single bar of) T-Mobile service since Sedro-Woolley, we Yelped and found Mick Duff’s Brewing Company. 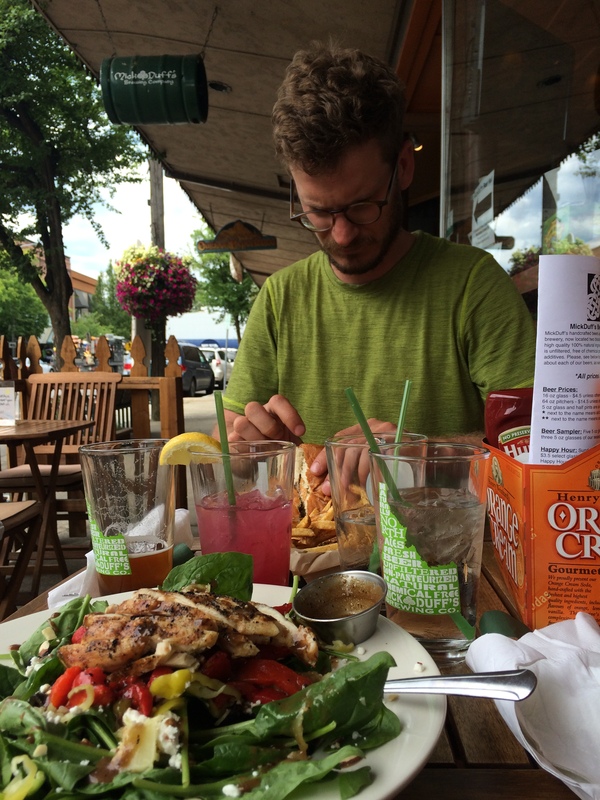 We shared a burger and fries and a grilled chicken spinach salad, Ted ordered their IPA, and I ordered huckleberry lemonade because all I ever want these days is fresh-squeezed lemonade. Everything was delicious. As an aside, my strongest cravings of this trip so far have been chocolate milk (whole milk, specifically; the low fat versions don’t do the trick), lemonade, seltzer water, Snickers bars, pineapple, and potato chips. I will consume all of these things in unfathomable quantities at any time of the day and I am always thinking about at least one of them when on my bike. I’m not sure if Ted is having the same problem, but these cravings are with me as often as my aching bum. Back to business. 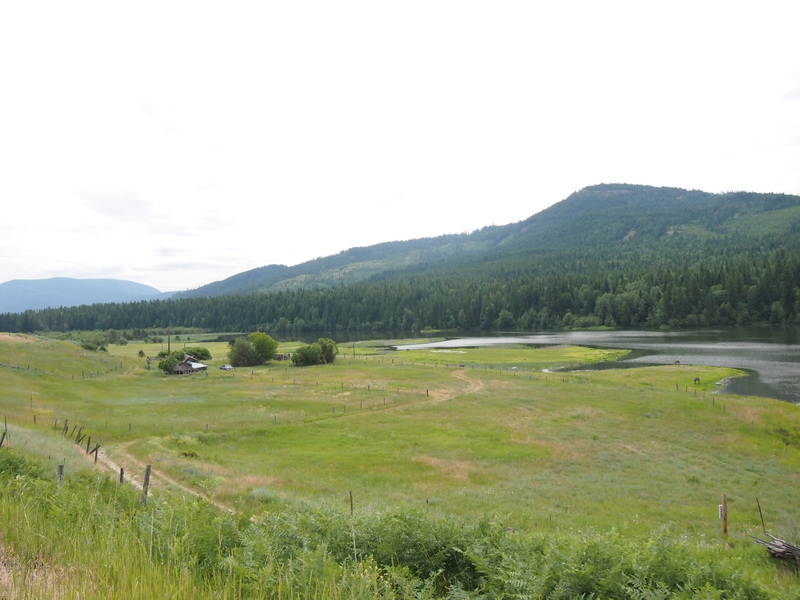 After leaving Sandpoint, we rode on a road with virtually no shoulder and heavy traffic for several miles. 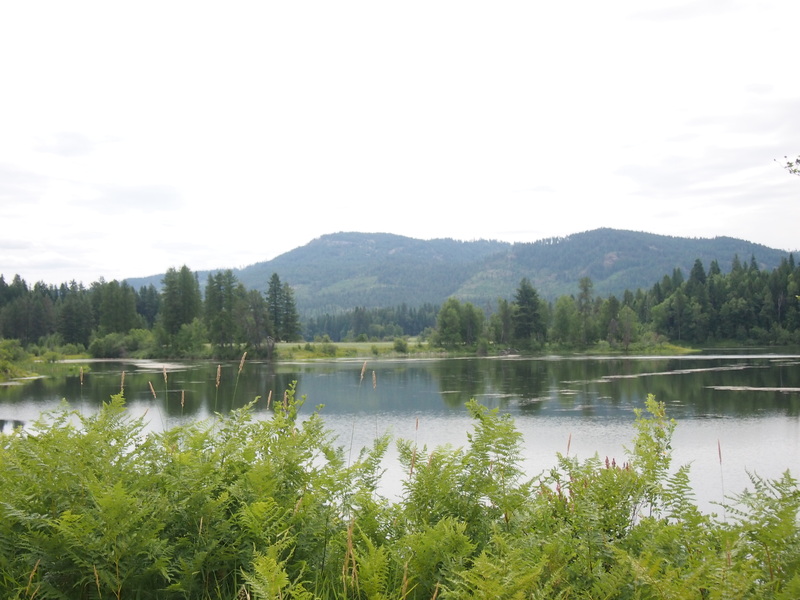 The shoulder and traffic improved as we got further from Sandpoint. 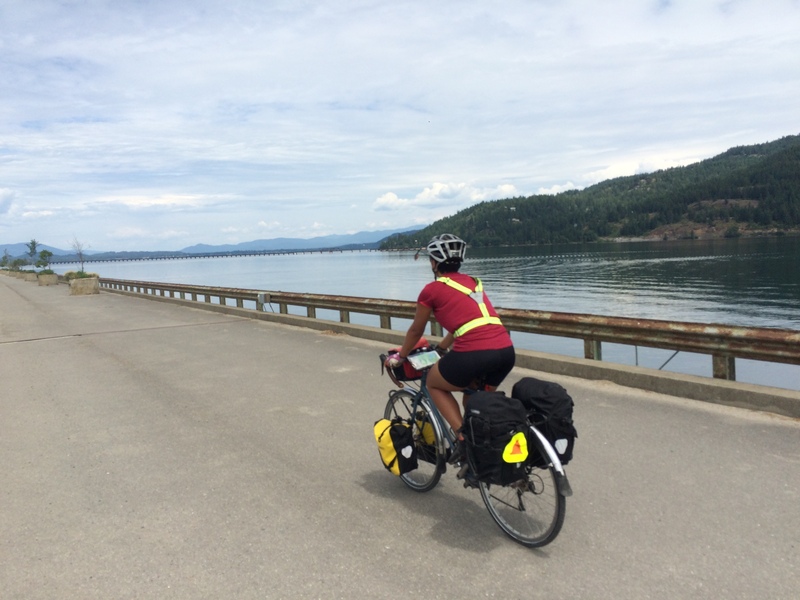 We quickly came back to and rode along Lake Pend Oreille for the rest of our day. 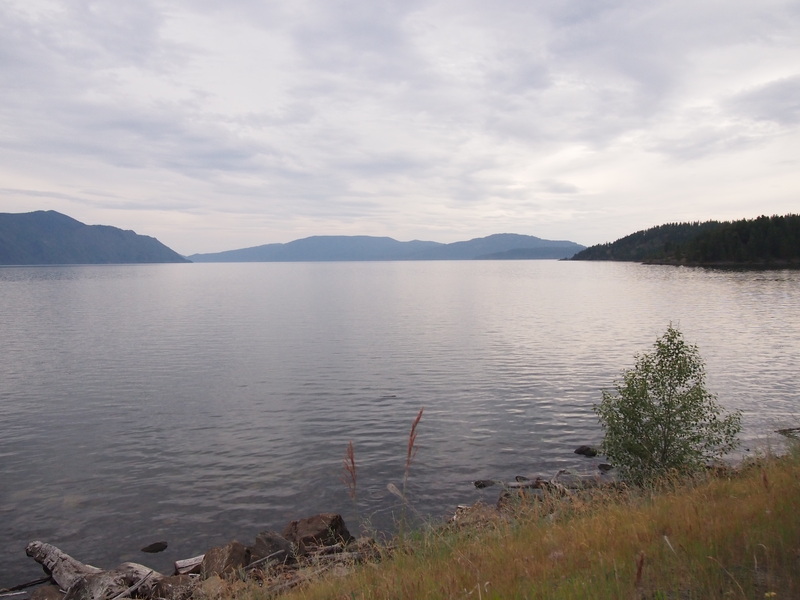 The moody clouds and calm waters made for some of the most spectacular scenery of the trip. 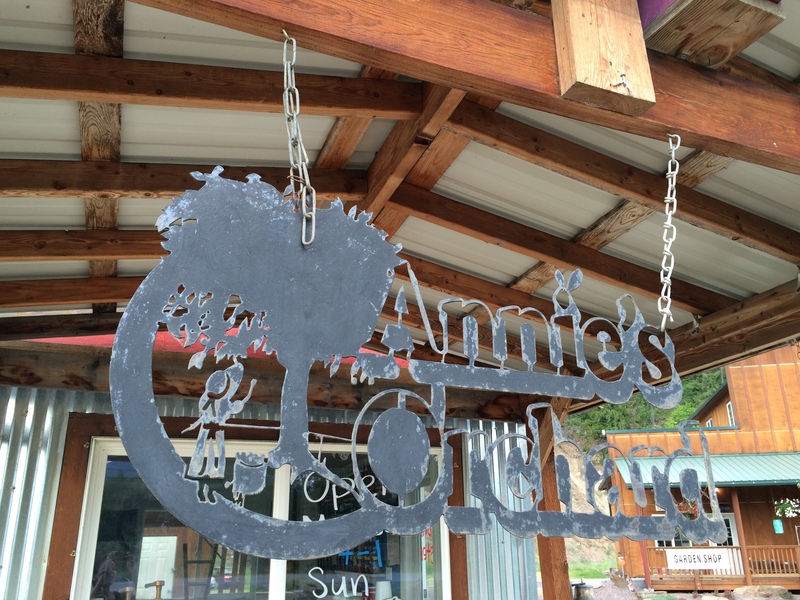 After a relatively uneventful and fast 28 miles we arrived at Annie’s Orchard, a family-run apple orchard, trading post, espresso shop, and garden center in Clark’s Fork, ID that allows cyclists to camp in their orchard and use their restroom and wifi. A godsend! This place and its proprietor, Terry, are wonderful and we feel so grateful to experience a little more friendliness on the road. Terry, who lives across the street, even sent his daughter over with a large pile of freshly picked raspberries! When we rolled up, we found Clive, our Boston-based British buddy, waiting for us. We’ve been on the same schedule as him since Republic. Normally I’d say we were leapfrogging each other, but that hasn’t been true. He’s going much faster than us, and we’ve just been catching up to him at the end of each day. 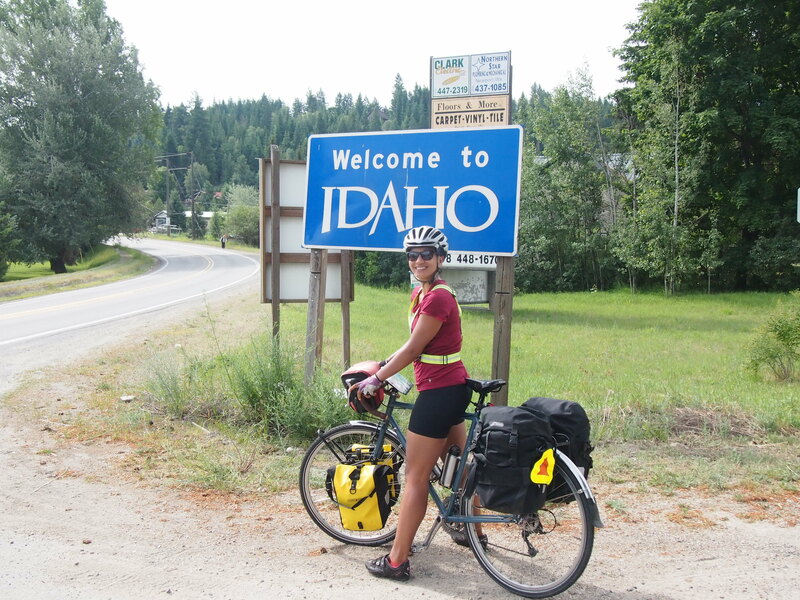 We’ll leave Idaho early tomorrow morning and start our 900+ mile journey through Montana!